Find the cheapest tickets to travel from Bristol to Paris by coach, train, carsharing and flights. As you can see in the table above, the price of the ticket for a coach from Bristol to Paris is more expensive as you approach your travel date. Buying your ticket beforehand is a great way to pay less as well as avoiding missing the bus because no seats remain available. It is 57% cheaper to purchase your seat 2 months in advance (from £26) instead of 3 days in advance (from £60). 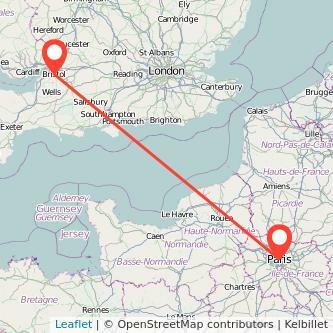 Gopili compares prices to help you find cheap bus tickets from Bristol to Paris for the coming days. You can also have a look at the prices for the Paris Bristol bus to make sure you get a seat for your return journey.